Crazy Combo! 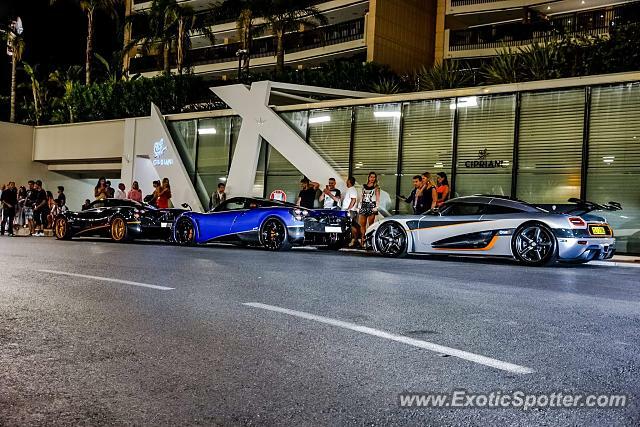 Enzo_28: I don't know if you watch a lot of YouTube videos but I know a well-known car spotter from Monaco and his channel name is @Fipeux. Do you hear about him? INSANE! L/F all the way! It's nice to see a One:1, but then with this it looks so out of place next to 2 Huayra's.